Podium Enterprises is providing Member with access to buy items. Each Member must provide (1) all equipment necessary for his or her own Internet connection and (2) provide for Member’s access to the Internet, and (3) pay any fees related to such connection. The Site is provided Podium Enterprises Pty Ltd on an “as is” and on an “as available” basis. To the fullest extent permitted by applicable law, Podium Enterprises Pty Ltd makes no representations or warranties of any kind, express or implied, regarding the use or the results of the Site in terms of its correctness, accuracy, reliability, or otherwise. Podium Enterprises Pty Ltd shall have no liability for any interruptions in the use of the Site. Podium Enterprises Pty Ltd disclaims all warranties with regard to the information provided, including the implied warranties of merchantability and fitness for a particular purpose, and non-infringement. Some jurisdictions do not allow the exclusion of implied warranties; therefore, the above-referenced exclusion may be inapplicable. PODIUM ENTERPRISES PTY LTD SHALL NOT BE LIABLE FOR ANY DAMAGES WHATSOEVER, AND IN PARTICULAR PODIUM ENTERPRISES PTY LTD SHALL NOT BE LIABLE FOR ANY SPECIAL, INDIRECT, CONSEQUENTIAL, OR INCIDENTAL DAMAGES, OR DAMAGES FOR LOST PROFITS, LOSS OF REVENUE, OR LOSS OF USE, ARISING OUT OF OR RELATED TO THE SITE OR THE INFORMATION CONTAINED IN IT, WHETHER SUCH DAMAGES ARISE IN CONTRACT, NEGLIGENCE, TORT, UNTER STATUTE, IN EQUITY, AT LAW, OR OTHERWISE, EVEN IF PODIUM ENTERPRISES PTY LTD HAS BEEN ADVISED OF THE POSSIBILITY OF SUCH DAMAGES. SOME JURISDICTIONS DO NOT ALLOW FOR THE LIMITATION OR EXCLUSION OF LIABILITY FOR INCIDENTAL OR CONSEQUENTIAL DAMAGES; THEREFORE SOME OF THE ABOVE LIMITATIONS MAY BE INAPPLICABLE. Member agrees to indemnify and hold Podium Enterprises Pty Ltd, its parents, subsidiaries, affiliates, officers and employees, harmless from any claim or demand, including attorneys’ fees and costs, made by any third party due to or arising out of Member’s use of the Site, the violation of this Agreement, or violation of any law by Member. Podium Enterprises Pty Ltd reserves the right to modify or discontinue the Site with or without notice to the Member. Podium Enterprises Pty Ltd shall not be liable to Member or any third party should Podium Enterprises Pty Ltd exercise its right to modify or discontinue the Site. Member acknowledges and accepts that Podium Enterprises Pty Ltd does not guarantee continuous, uninterrupted or secure access to the Site, and operation of the Site may be interfered with or adversely affected by numerous factors or circumstances outside of Podium Enterprises Pty Ltd control. Specifications about and other information regarding items for sale on the Site have been provided by individual sellers and is not verified by Podium Enterprises Pty Ltd. While Podium Enterprises Pty Ltd makes every effort to ensure that the information on the Site is accurate, we can make no representations or warranties as to the accuracy or reliability of any information provided on the Site. Podium Enterprises Pty Ltd makes no warranties or representations whatsoever with regard to any product provided or offered by any seller, and you acknowledge that any reliance on representations and warranties provided by any Vendor shall be at your own risk. 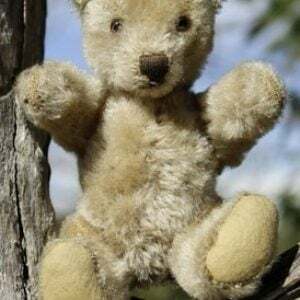 Purchases of items from the Site are governed by the terms set forth in the Podium Enterprises Pty Ltd Customer ORDERS & FAQ at http://www.morpethteddybears.com/orders/ and http://www.campbellsstoremorpeth.com/faq/ Unless otherwise stated, all prices on the Site are in Australian Dollars. Customers (that is, purchasers of items from the Site) are responsible for paying all fees and applicable taxes in a timely manner with a valid payment method. If a Customer’s payment method fails, Podium Enterprises Pty Ltd may collect fees owed using other collection mechanisms. The site is operated and provided in the State of NSW. As such, we are subject to the laws of the State of NSW, and such laws will govern this Agreement, without giving effect to any choice of law rules. We make no representation that the Site or other services are appropriate, legal or available for use in other locations. Accordingly, if you choose to access the Site you agree to do so subject to the internal laws of the State of NSW. on the Site are either owned or licensed by Podium Enterprises Pty Ltd and may not be reproduced or used in any manner without the express written permission of Podium Enterprises Pty Ltd and, if appropriate, the relevant artist. Copyright © 2006 Podium Enterprises Pty Ltd. All rights reserved. All physical artwork is owned solely by the individual artists represented here and are subject to Australian and International copyright laws. 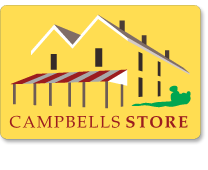 MORPETH TEDDY BEARS, the CAMPBELL’S STORE logo are trademarks owned by Podium Enterprises Pty Ltd and may not be used without prior written permission of Podium Enterprises Pty Ltd.
retains the right, at our sole discretion, to terminate any accounts involved with us and related activities. If any hostnames are used as command and control points for us, Podium Enterprises Pty Ltd reserves the right to direct the involved hostnames to a honeypot, loopback address, logging facility, or any other destination at Podium Enterprises Pty Ltd discretion. If any provision of this Agreement shall be unlawful, void or unenforceable for any reason, the other provisions (and any partially-enforceable provision) shall not be affected thereby and shall remain valid and enforceable to the maximum possible extent. You agree that this Agreement and any other agreements referenced herein may be assigned by Podium Enterprises Pty Ltd in its sole discretion, to a third party in the event of a merger or acquisition. This Agreement shall apply in addition to, and shall not be superseded by, any other written agreement between us in relation to your participation as a Member. Member agrees that by accepting this Agreement, Member is consenting to the use and disclosure of his or her personally identifiable information and other practices described in the Podium Enterprises Pty Ltd Privacy Statement. This document was last updated on Oct 27, 2013. Podium Enterprises Pty Ltd(“Campbell’s Store Morpeth Teddy Bears”) is committed to protecting your privacy. This Privacy Statement (“Statement”) sets forth our current privacy practices with regard to the information we collect when you interact with our website. 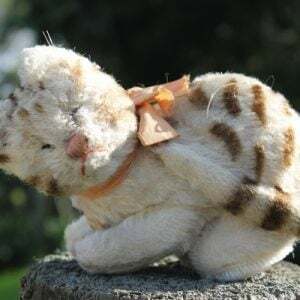 By accessing the website at www.morpethteddybears.com www.campbellsstoremorpeth.com (the “Site”), you acknowledge and fully understand this Statement and consent to the information collection and use practices described in this Statement. Other than as expressly set forth in this Statement, nothing in or omitted from this Statement limits Podium Enterprises Pty Ltd privacy practices. Podium Enterprises Pty Ltd may use Internet cookies to personalize or enhance your user experience. An Internet cookie is typically a small text file that is placed on your hard disk by a web server. One of the primary purposes of cookies is to provide a convenience feature to save you time. For example, if you personalize a web page, or navigate within a site, a cookie helps the site to recall your specific information on subsequent visits. Hence, this simplifies the process of delivering relevant content and eases site navigation by providing and saving your preferences and login information as well as providing personalized functionality. Podium Enterprises Pty Ltd reserves the right to share site statistics with partner companies. To protect Podium Enterprises Pty Ltd from liability as Podium Enterprises Pty Ltd deems appropriate in its sole discretion. In connection with a merger, acquisition, sale or liquidation of Podium Enterprises Pty Ltd. The Site may contain electronic images known as Web beacons – sometimes also called single-pixel gifs – that allow Podium Enterprises Pty Ltd to, among other things, count users who have visited those pages and deliver co-branded services. Podium Enterprises Pty Ltd may include Web beacons in promotional e-mail messages or newsletters to determine whether messages have been opened and acted upon. Some of these Web beacons may be placed by third-party service providers to help determine the effectiveness of advertising campaigns or e-mail communications. These Web beacons may be used by these service providers to place a persistent cookie on your computer. This allows the service provider to recognize your computer each time you visit certain pages or e-mails and compile anonymous information in relation to those page views, which in turn enables Podium Enterprises Pty Ltd and our service providers to learn which advertisements and e-mails bring you to the Site and how you use the Site. Podium Enterprises Pty Ltd has the discretion to update this Statement from time to time. When Podium Enterprises Pty Ltd does so Podium Enterprises Pty Ltd will also revise the “updated” date at the top of this page. Podium Enterprises Pty Ltd encourages you to periodically review this Statement to stay informed about how Podium Enterprises Pty Ltd is helping to protect the personal information Podium Enterprises Pty Ltd collects. Your continued use of the service constitutes your agreement to this Statement and any updates. 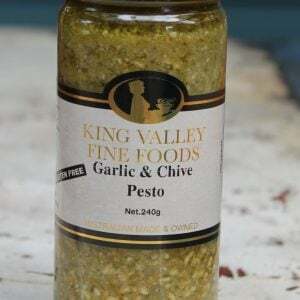 5 Green Street Morpeth NSW 2321 Australia. Podium Enterprises Pty Ltd will use whatever efforts it deems appropriate to respond and resolve any problem or question.